Our team of professional masons have served the Kitchener - Waterloo region for many years. During that time we have built a strong reputation for the exceptional quality of our work. If you are planning a new commercial construction within the region, don't hesitate to contact us for fast, reliable and professional service. Click here to contact us today. What Did You Type Into Google To Get Here? Are you planning a new commercial building? We can help you with all aspects of the masonry work you require. If you are planning a project, contact us for any help you might need from planning stages to project completion. 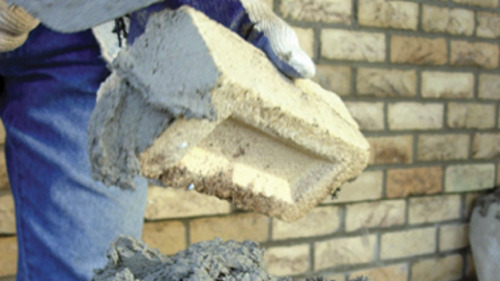 We work with all types of modern materials including bricks, concretes, woods and synthetics. We believe in superior craftsmanship and our priority is to get the job done right the first time. Our satisfied customers demonstrate our commitment to service.